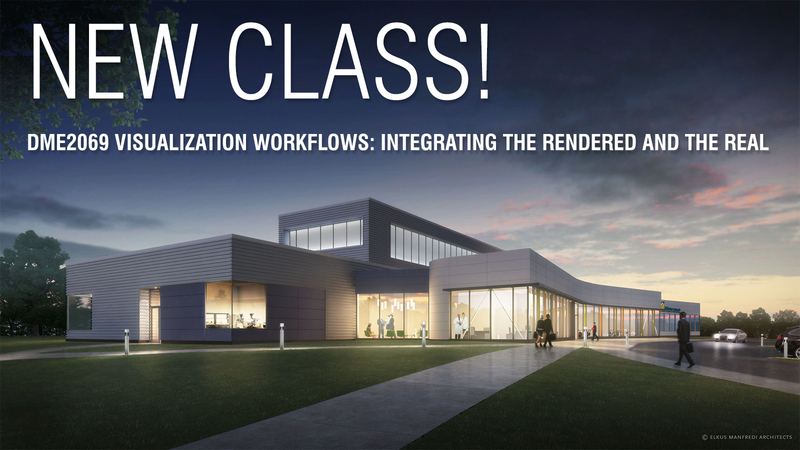 The purpose of this course is to introduce students to a professional rendering workflow that can remain flexible throughout the life of the project. This course will cover some advanced modelling and rendering techniques using 3D modeling, rendering, and illustration software techniques that are specifically targeted to this workflow. Each student will work on a single main project for the majority of the class with some smaller in-class and homework assignments. The project will cover fundamentals that can be scaled to more complex real-world design projects. The students will be furnished with two photo views of a real-world site with a rudimentary site model and three massing models of a building for the site. 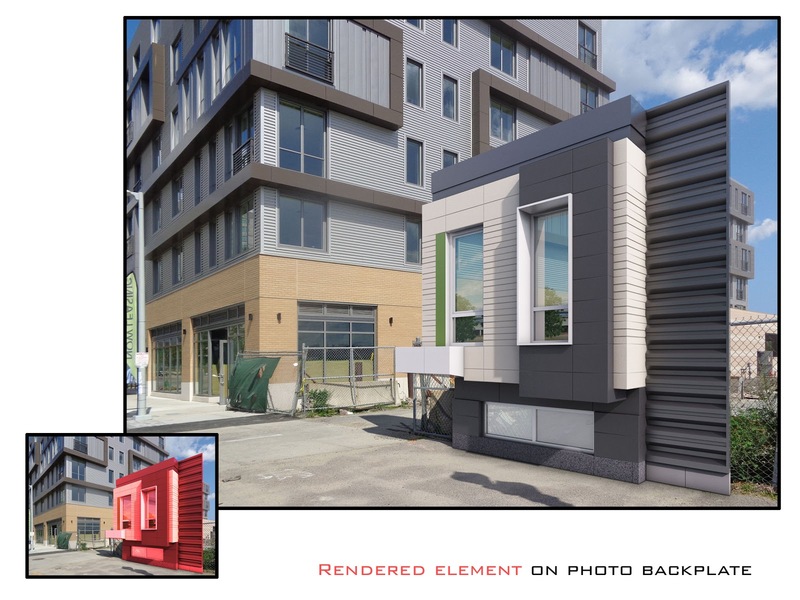 For the first portion of the assignment the students must incorporate each massing into both views for a total of 6 “sketch” images. Next they will choose one of the massing models to move forward with and articulate for the rest of the class. This articulation will take place over several weeks as students learn to move fluidly from 3D Studio Max to Photoshop and back again. At the end of the course the goal is to have two finished images and documentation of the iterative process. Jeremy Brant began his higher education at the University of Massachusetts Dartmouth with a degree in Illustration. From there he went on to The Rhode Island School of Design and earned his Masters of Architecture. For the past ten years he has worked as an Architectural Illustrator creating images for the world’s top architects on projects all over the world. 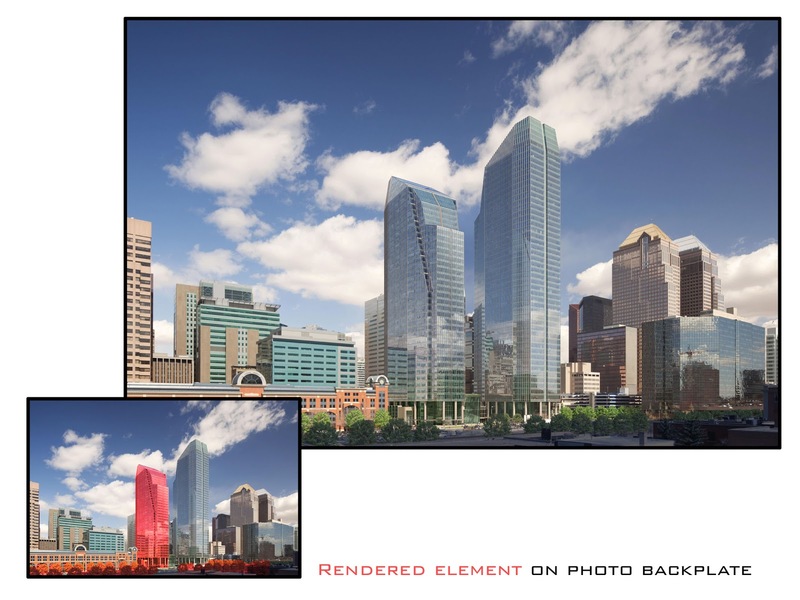 Currently he works on the in-house rendering team of Elkus Manfredi Architects in Boston.